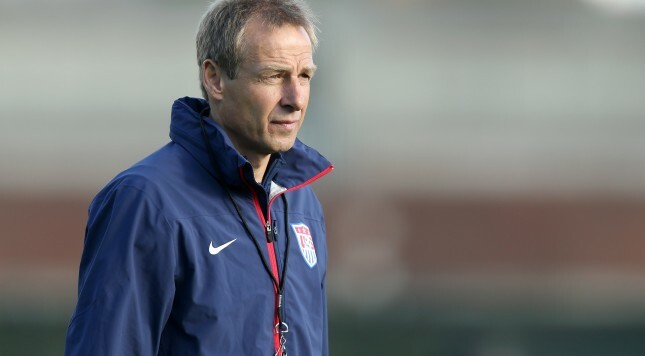 Jurgen Klinsmann is a divisive character. Some love the innovation and genius he brings to the United States, some hate the fluctuations and inconsistencies. It all depends on who you ask. After being drawn in the Group of Death in the 2014 World Cup, America qualified, beating out Cristiano Ronaldo’s Portugal. It was a massive success for the red, white and blue, but it got the nation’s hopes up. Those hopes were subsequently squashed in the 2015 CONCACAF Gold Cup. Entering as heavy favorites, the USMNT made it through the group stages without a loss and dismantled Cuba in the quarterfinals. All looked well and good. However, that was quickly turned on its head with a surprising and wholly disappointing loss to Jamaica in the semis. The salt in the wound was a third place playoff loss to Panama on penalties. It was quite simply unacceptable and the questioning of Klinsmann began. But the World Cup was still fresh in our minds and we had to remind ourselves that the Copa America Centenario was right around the corner. However, World Cup 2018 qualifiers were getting in the way. The USMNT was floundering and narrowly missed out on being prematurely eliminated from the 2018 World Cup. They scratched and clawed and remained in contention with a few (supposedly easy) qualifiers yet to go. They needed a convincing show in the Copa against a world power like Colombia and they just didn’t get it. The old guard was much older and facing the same problems. Michael Bradley was lost, Jermaine Jones was frustrated and Clint Dempsey’s best wasn’t enough. The only hope America grasped was when Darlington Nagbe and Christian Pulisic came on, but there was nothing to scrounge from the disappointing affair. The USMNT dropped into last in their group. Thankfully, Costa Rica and Paraguay drew, giving America gobs of hope. But that hope is all completely dependent on beating Costa Rica. With home field advantage all across the board, there is no excuse to drop another disappointing affair. A loss to Costa Rica will guarantee the USMNT’s exit from their first ever homeland Copa and it will guarantee an inquisition into Klinsmann’s job. With a new wave of American talent coming up, there has to be something to build off of. It’s either that or let them start from scratch. If America can pull themselves up by the boot straps and make a run deep into the Copa, then sure, let Klinsmann issue in a new generation of United States’ soccer. But if we crash and burn out of the tournament, the best thing for all parties may be to install a new figurehead and let the new guard phase out the old. It all begins with Costa Rica. Josh has been published on CBS, FourFourTwo and more, as well as serving as the editor of Stateside of Soccer and Pain in the Arsenal. Nothing is more important than growing the greatest sport in the world in the greatest nation in the world. Statesideofsoccer.com is a Major League Soccer fan web site and is in no way affiliated with Major League Soccer, its Properties, Teams, or Organizations. This site is for informational and entertainment purposes only. Statesideofsoccer.com is not an official web site for Major League Soccer. Copyright © 2016 www.Statesideofsoccer.com - All Rights Reserved - Trademarks used herein are property of their respective owners.